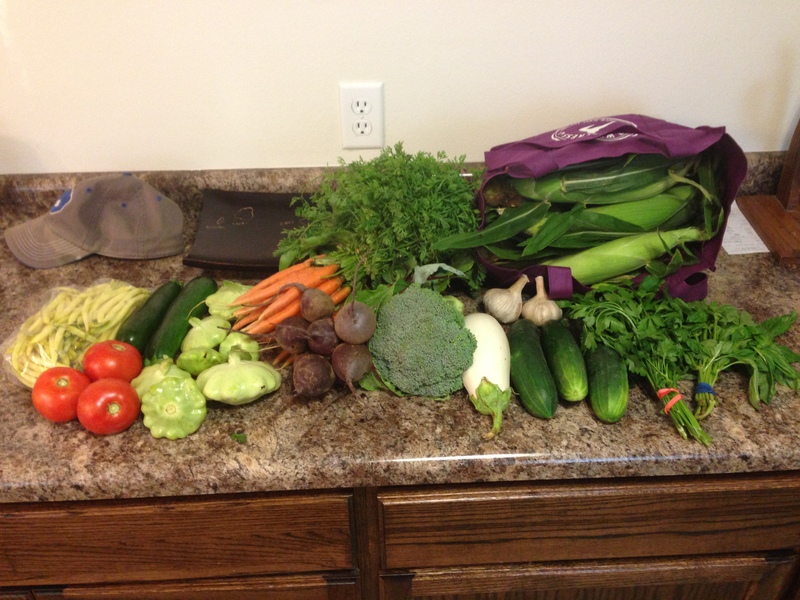 CSA Week #9 – Nutrition.Health.Life. This is J’s first week of prepping veggies without me. There were a few weeks when I wasn’t home on Tuesday night after he picked up the CSA, but I was back at the house on Wednesday and could help prepare. I moved to Milwaukee on Sunday to start my psychiatry rotation and won’t be able to get back to the house until Friday night. I am planning to use these posts as J’s resource for what in the world to do with everything. Usually I have a general plan but end up going off in a different direction when it comes time to actually prep everything. Here’s to hoping I have been realistic in the plans so J doesn’t have to spend his entire week cooking. Chucked, cleaned, wrapped in foil, and roasted in the oven at 350F for 30 minutes. Cool and remove from cobs. Freeze 2 cup portions into quart size freezer bags. This entry was posted in Nutrition and tagged CSA. Bookmark the permalink.